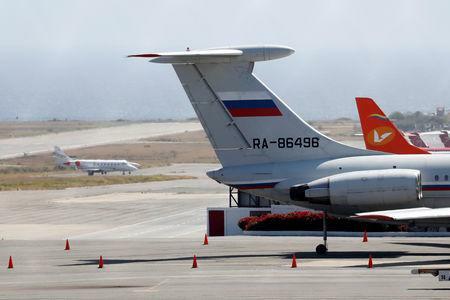 WASHINGTON/CARACAS (Reuters) - The United States on Monday accused Russia of "reckless escalation" of the situation in Venezuela by deploying military planes and personnel to the crisis-stricken South American nation that Washington has hit with crippling sanctions. 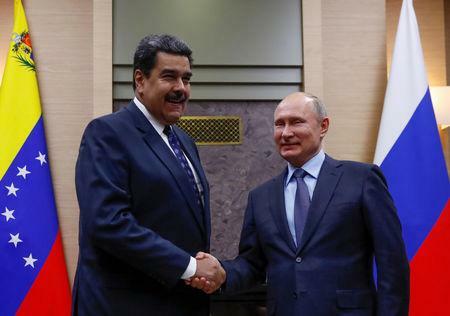 "(Maduro's) former regime, aided and abetted by countries like Russia and Cuba, continues to repress democratic actors in Venezuela," said the spokesman, Armando Hernandez. The Organization of American States, a Washington-based diplomatic group for hemispheric affairs, in a statement called the presence of Russian military equipment and personnel "a harmful act to Venezuelan sovereignty." "Such cynicism on the part of a country like the United States," wrote Venezuelan Foreign Minister Jorge Arreaza on Twitter. "(With) a growing military budget of more than $700 billion, it seeks to interfere with the technical military cooperation programs between Russia and Venezuela."